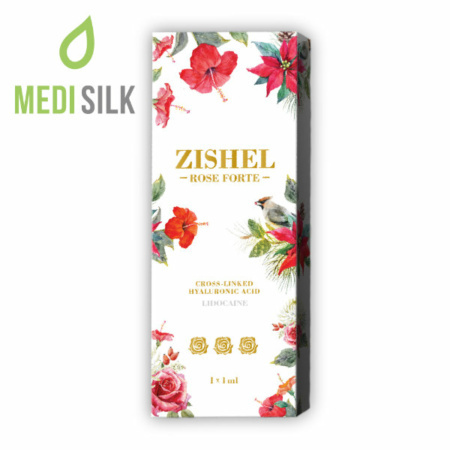 Zishel Rose Forte is an outstanding skin filler produced by market leader Cha Healthcare Systems through the most advanced technologies and manufacturing methods. 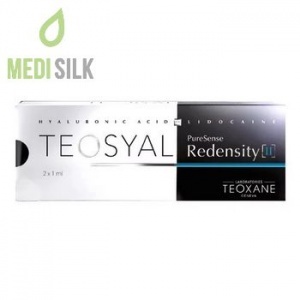 Now part of Medisilk’s extensive product catalog, this top-tier cosmetic rejuvenation product ranks among the best deep wrinkle removal solutions. It contains premium HA and it is particularly suitable for mid-face deep wrinkle correction and face contouring and it will not fail to deliver excellently defined cheek augmentation effects. Zishel Rose Forte is specially developed to be used in the mid-face area. Unlike the upper and lower facial zones, the most common signs of aging affecting a person’s midface are related to both wrinkle formation and volume loss. This risk-free and trusted skin filler knows how to conquer both of these problems. It can be injected either in the subcutaneous tissue or the deep dermis to instantly fill even the most severe folds and wrinkles in that part of the face or to deliver a pain-free cheek enhancement. 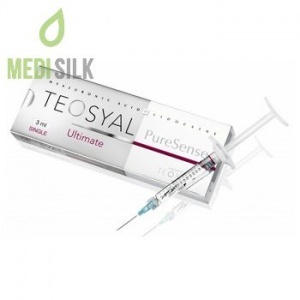 Every package of this patient-friendly soft-tissue filler comes with highly advanced needles that are manufactured in Belgium specially for the purpose of this high-end cosmetic product. The provided needles are incredibly thin which will enable board-certified plastic surgeons to deliver an even less minimally invasive filler injection treatment than the usual. From the patient’s point of view, that means no discomfort during the procedure and a reduced chance of unwanted reactions such as redness, swelling or bruising around the injection sites.